Guam Year of the Reef 2018 launched with a proclamation signing on February 2nd by the Lieutenant Governor Ray Tenorio. Throughout 2018, Guam will host a series of public outreach events and opportunities for community members to get involved in coral reef conservation and management, in order to improve the condition of our local reefs. 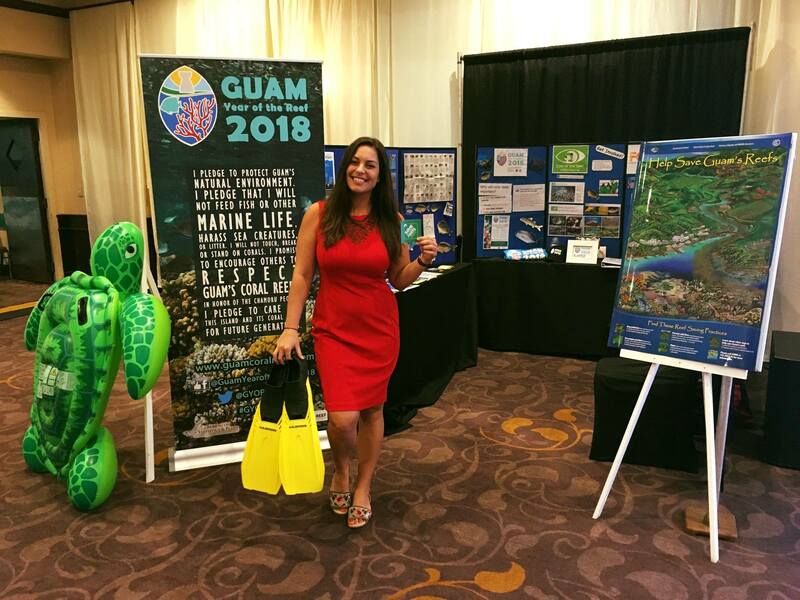 On March 27, over 200 coral reef managers, scientists, students, and private citizens gathered at the Hyatt Regency Hotel in Tumon Bay, Guam to attend the 4th Guam Coral Reef Symposium. Participants heard from 15 speakers who presented on topics ranging from innovations in coral reef mapping technologies to the evolutionary relationships among corals to the resilience of Guam’s coral reefs to climate change. Three training sessions on “Safe and Sustainable Marine Tourism” were held at the 26th Pacific & Hotel Restaurant Expo. Materials were displayed promoting Green Fins, our local Eyes of the Reef Marianas program, the Friends of Reefs Guam program (formerly the Guam Community Coral Reef Monitoring Program), sustainable fishing practices, and of course Guam Year of the Reef! We had outreach materials and banners promoting GYOR. It was great to be a part of the business community’s event. 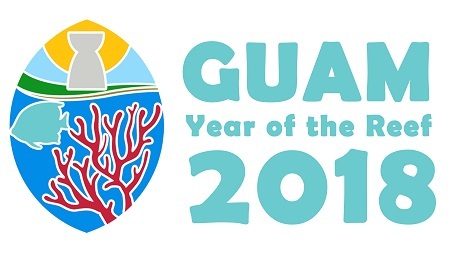 Guam Year of the Reef celebrates World Oceans Day!